The S Pen belonging to the upcoming Galaxy Note 9 is expected to come with a ton of features, casting a shadow over the previous-generation stylus’ list of functions. 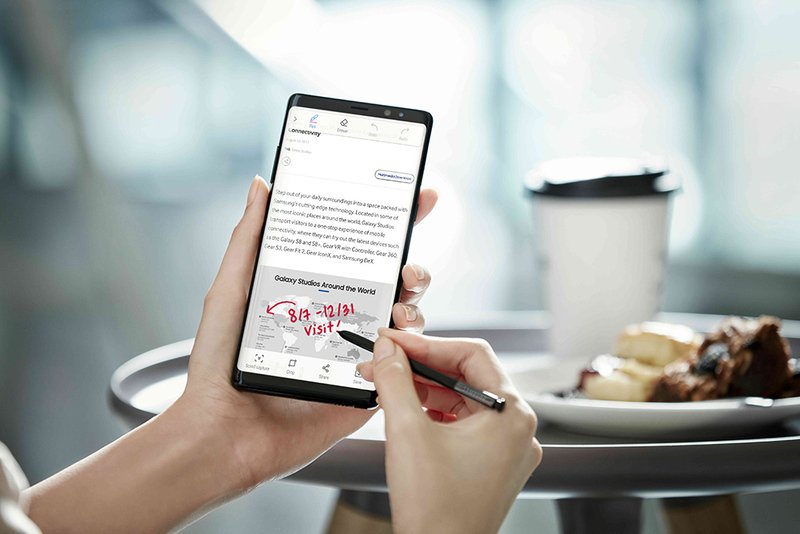 However, users would assume that the Galaxy Note 8 would also be compatible with the latest S Pen, negating the need for users to purchase a brand new Galaxy Note flagship in order to take advantage of those upgrades. Unfortunately, that isn’t going to be the case, because a new rumor claims that if you’re in possession of a Note 8, chances are the upcoming accessory will work just as a regular accessory and nothing more. It does make sense for the Galaxy Note 9’s S Pen to just be compatible with the upcoming flagship; Samsung could have outfitted the Note 9 with some special internals that will allow users to seamlessly pair the smartphone and the stylus. According to Ice Universe, he does not believe that the Galaxy Note 8 will be compatible with the S Pen that will come shipped with the Galaxy Note 9. While it will be able to work as a regular pen, users might not be able to take complete advantage of the accessory. For example, it has been reported time and time again that the S Pen might require an internal battery to function and it would be able to connect to the Note 9 via Bluetooth LE. Additionally, users might be able to carry out things like control music, start and stop timers, remotely activate the smartphone’s camera shutter and others. In short, this accessory, which a lot of users might have believed to be void of a novelty will end up providing them with more features right off the bat than they could imagine. Unfortunately, it does not look like the next-gen S Pen will be compatible with the Note 8. Still, we want you to take this with a pinch of salt because you never know when Galaxy Note 8 users will be struck with good fortune. Galaxy Note 9 Reportedly Catches Fire – Note7 Nightmare Returning for Samsung?